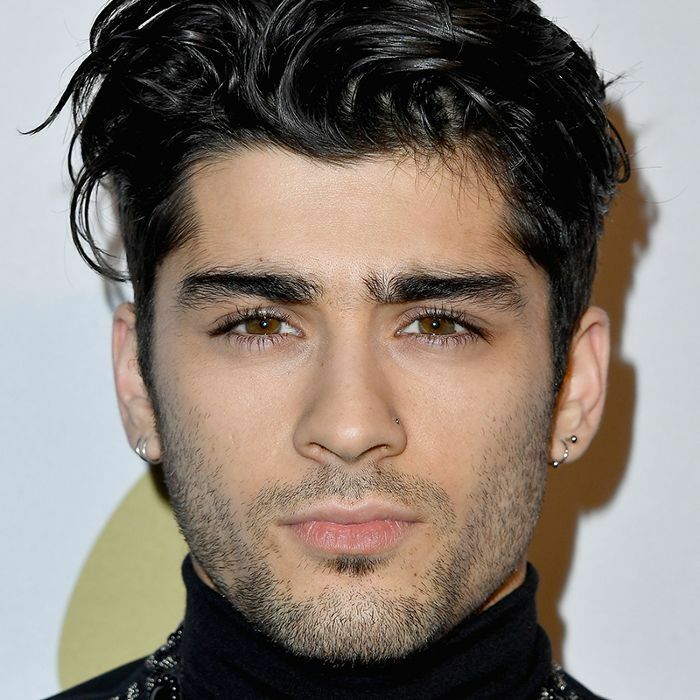 Everyone deals with breakups in their own way, and it seems as though Zayn Malik's method for moving on after his recent split from Gigi Hadid is purchasing New York real estate for top dollar. The former boy-band member turned solo artist just bought a SoHo penthouse apartment for a cool $10.7 million, according to StreetEasy. The 3500-square-foot bachelor pad boasts four bedrooms, four bathrooms, and a killer view of the Cast Iron Historic District. The industrial building with high ceilings and exposed brick was recently converted into the luxury apartment that stands today, fully equipped with modern amenities and architectural upgrades. Along with these interior details, Malik will enjoy at 1000-square-foot terrace overlooking the city. Take a look inside the singer's new digs below. The industrial exposed brick and structural columns give this stunning living room a unique feel, juxtaposed with softer design elements like white couches and gray rugs. You can't beat the tall ceilings and large windows. This dining table perfectly matches the architecture of the former silk-manufacturing building. Leather chairs and deep brown tones give the space a vibe fit for the singer-songwriter. A modern, white kitchen stands in stark comparison to the rest of the original interior. It's a contemporary space filled with the latest amenities. A spacious master bedroom combines rustic exposed brick with modernized décor elements. Take note of the stunning view visible through the expansive windows. Similar to the kitchen, this chic bathroom has clearly been converted into a stylish, modern space that differs greatly from the industrious décor of the rest of the apartment. Another stunning bedroom, this space is covered in black-and-white art, chic furnishings, and gold details to tie the room together. Fit for hosting guests, an additional bedroom easily accommodates two beds. The unique wall hangings are a quirky touch. Imagine enjoying small bites and cocktails on this terrace situated above the busy streets of the city. With spring on the horizon, this dreamy space will surely not go to waste.